Finding the right college for you does not mean choosing where your college bound student will live the next four years. It means finding the best academic, social and financial fit for college bound students. 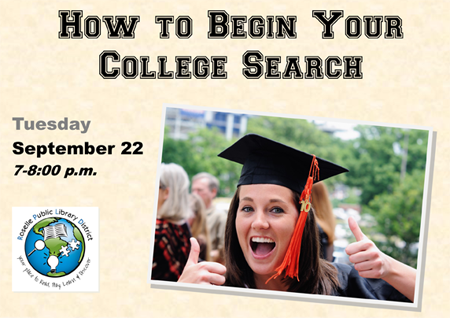 Thomas Jaworski of Quest College Consulting will provide high school families with tips and advice on how to start and breakdown the stressful college search process. This program, designed for both parents and students, is interactive so please bring your smart phone or tablet.